showerheads have become the aesthetic design engineers dream (Figure 1). 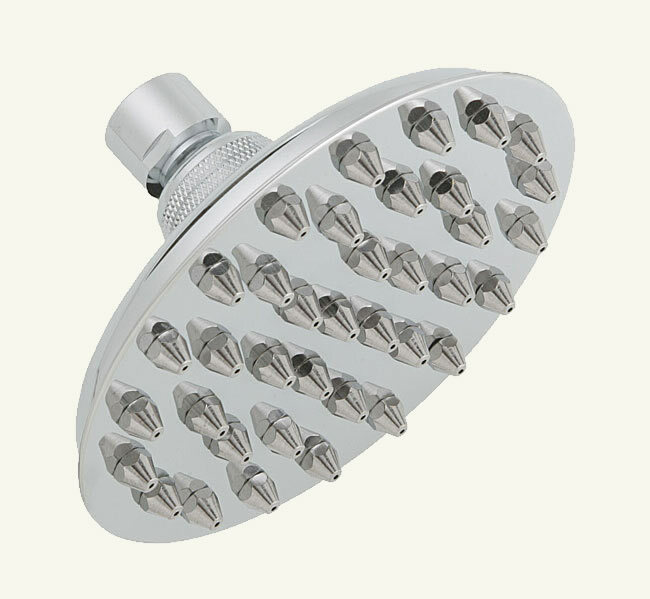 If you are remodeling your bathroom consider the many different types of showerheads that are available. If you can envision it, I am sure that someone manufactures it. Water flow; many manufacturers are designing their shower heads with a decreased water flow to conserve water. As well many states and cities have bylaws that require the use of water conserving shower heads. All shower heads are susceptible to mineral buildup. The extent to the buildup varies depending on the water supply. If you are in an area where you have a high mineral content and are not using a water softener, you should inspect the shower head to see if it can be taken apart for cleaning. Hand held shower heads have the potential of being dropped. Hands become soapy and slippery and the length of hose will usually allow the shower head to hit the tub and even if there is no tub involved the shower head will hit the wall. Plastic hand held shower heads are less likely to cause damage to other surfaces such as ceramic tile. When it comes to the shower head, most shower and tub faucets include a matching shower head. If you are buying a separate shower head, make sure that the finish actually matches. Chrome glosses vary as does other types of plating between manufacturers. A brushed nickel from one manufacturer may not match the brushed nickel of another manufacturer. Additional information on remodeling bathrooms.